Luscious or Lame, that is the question?. Every woman wears a colour on her lips at some point or another, it just happens to be that some of us love to wear it more often than others. To some, this may be a case of appeal, fashion, individuality, or to others, a sense of identity. Regardless of any of these reasonings, we can’t deny the beauty a colour can add to a woman’s lip. Personally, I’m a lover of the red shade, from ‘luscious red’ to ‘orange blood’ it allows me to add a pop of colour and elegance without breaking the bank. So, I’ve pretty much pined after the Clinique Chubby stick since its beginning…However, being too safe (cheap could be another word), with the sticks at near enough £20 a pop, I was waiting for the right moment-WHY HELLO CHRISTMAS! Browsing the Clinique counter with Sue (the mother) I was awaiting the approach from the over eager sales assistant. Much to my surprise she pointed me in the direction of the Lip colours and even gave me info on the deals- wahay I’d finally found the goods but at a great bargain! Three colours later and £26.00 down, I’d managed to bag the lip balms and was over eager to try them out. In the past I had walked into several beauty stores to purchase lip colours by different brands that were marketed at a lower price yet copied the Chubby stick ideals. After trying out both Maybelline, Mac and Barry M, I had fully come to the conclusion that these were nowhere near the desired product. Good, but not what I wanted. 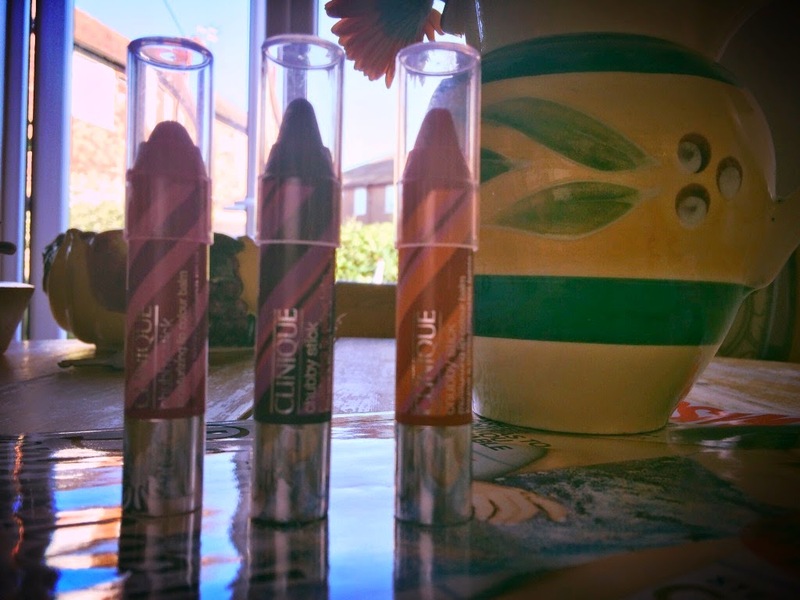 After testing out the true chubby stick TOO much over the Christmas period I’d found that it provided a colour, soft balm, non-clump lustre that stayed on for hours. Bang on a bit of clear lipgloss on top and what do ya have? 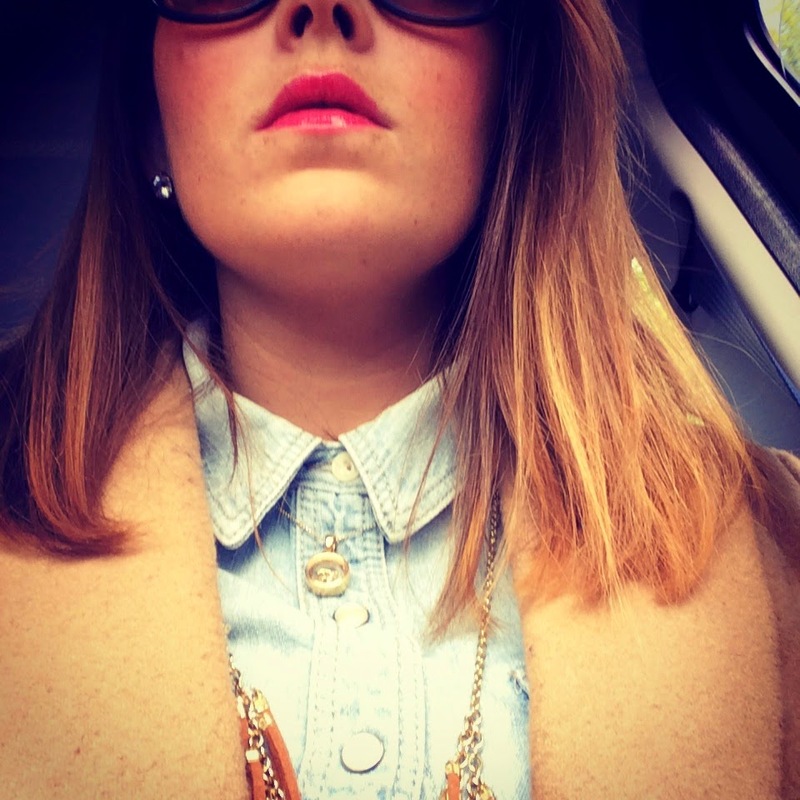 B.e.a…utiful lips. After wearing all three colours for numerous events (I say events, some were me dancin’ around the bedroom), I’d come to the conclusion that more or often, quality does come with price. The skinflintin’ of avoiding the purchase initially, was most probably evened out by several unsatisfactory other brands. With the easiness of wear and the beautiful colour to match Clinique had truly outdone themselves and created a product that not only I could find transferable from night to day, but from everyday into the far, far future. 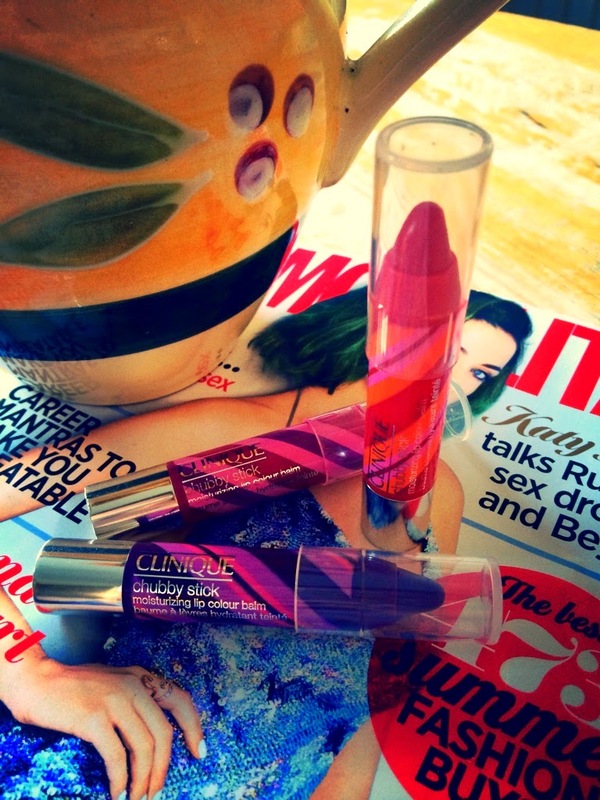 ‘Whole lotta candy’– Clinique 3 x chubby stick set. Colours: Two ton Tomato, Voluptuous violet, Pudgy Peony. Two ton tomato and drinks. Next Post Air strike? Yeah, cheers for that one.